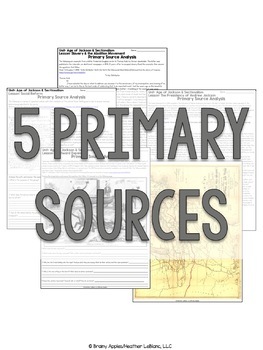 This resource includes 5 carefully curated primary sources to analyze that will enhance any Age of Jackson & Sectionalism unit. 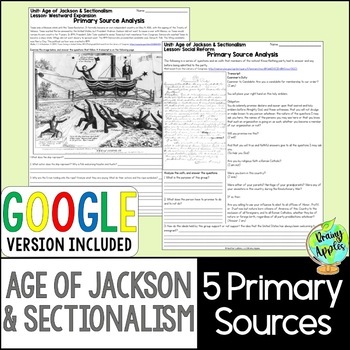 It is aligned to my Age of Jackson & Sectionalism Unit Bundle. 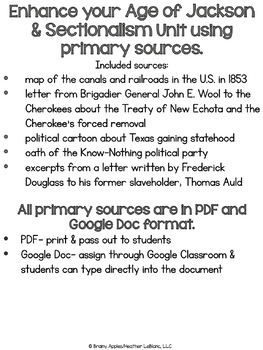 Each of the primary documents focuses on one aspect of this time period to analyze. Encourage your students to think deeply about the topics associated with these topics. You can also assign the analysis activities as homework.